As part of the global effort to eliminate hunger, the Cicero-Berwyn-Stickney Food Pantry exists to reduce hunger in our communities by collecting and distributing supplemental food and other goods to those in need. Help us fight hunger in our communities. Support CBS When You Shop Amazon.COM! ​​Do you shop Amazon.com? 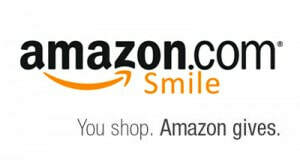 Use AmazonSmile and 0.5% of your Amazon.com purchases will support the CBS Food Pantry! Click on the box to get started! We are asking that you consider becoming one of The 52 by donating a total of $500 (our approximate weekly food cost) at any time throughout the year. You do not have to donate the entire amount at one time, but rather donate a total of $500 during the year. It’s simple to become one of The 52. If you are donating by check, write The 52 in the memo line of your check. If you are donating cash, include a note saying you want to be one of The 52 with your cash donation. If you are donating online through our website, include The 52 in the description box. Once you donate $500, we will recognize you as one of The 52 by listing your name in our newsletter. If you prefer to remain anonymous, just tell us that when you make your donation. We are looking forward to another great year in 2019. Thank you for your continued support! Do you need food assistance? CLICK HERE to learn about our food pantry program. Click here to download our latest Newsletter! Hours and location subject to change. Call us for latest information. Copyright © 2019 CBS Anti-Hunger Foundation. All rights reserved.